Protect your expensive floor and add a real statement to your floor by putting this magnificent kilim area rug which contains ivory and blue color combination. 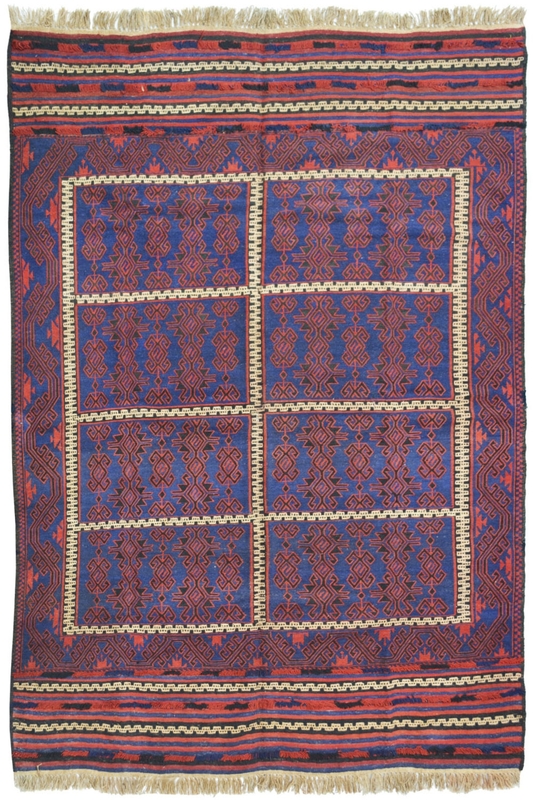 Show your choice to others by placing this gorgeous kilim handmade dhurrie. It is woven in wool and cotton material on a handloom. It is made using flat-woven technique. The surface of this carpet is divided into eight rectangles and contains same design pattern. Design is made using needle and yarn. The warp is in cotton and weft is in wool. It is a highly durable and hand washable rug.